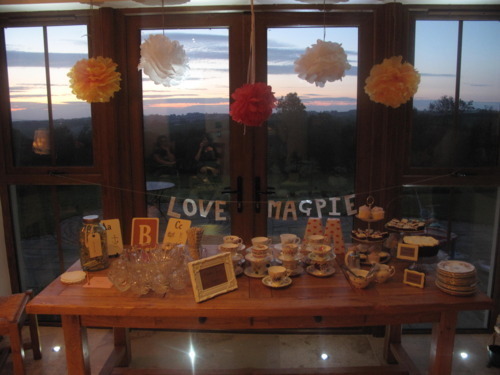 Some of you will know that my friends and I run a little side project called ‘Magpie Events’. It’s a small little enterprise that sees us load our cars up with all kinds of vintage and artsy bits and set up a tea and craft party. 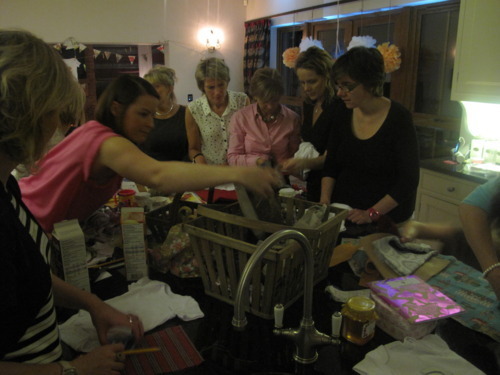 We do hen parties (making gifts for the bride-to-be or for the wedding day…), baby showers (making gifts for mamma and bambino) and just good old afternoon tea parties for no good reason at all (gifts for you and your pad!). I LOVE this part of my life as it gives me a chance to not only get my own craft on, but to encourage others and show them how easy it is to be creative/resourceful with very little, and how handmade stuff is so much more meaningful and conducive to building community in your life! Boom! What’s not to love?! 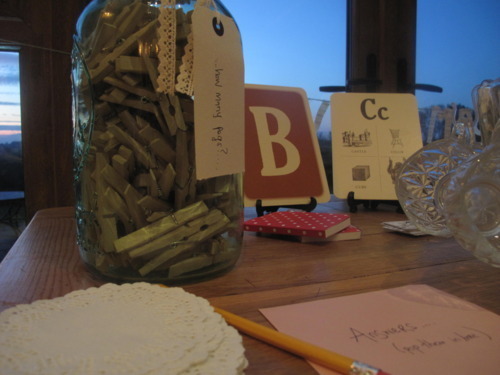 We did a baby shower in the most beautiful country home last week. 15 teachers from Lurgan College (of all different ages and skill abilities) came to celebrate two of their colleagues last weeks of work before heading off to the wonderful world of maternity leave. The full set of pics are on our fb page (come be our friend!) but I thought I’d show a select few on here as it tells the story of what happens at a Magpie Event! 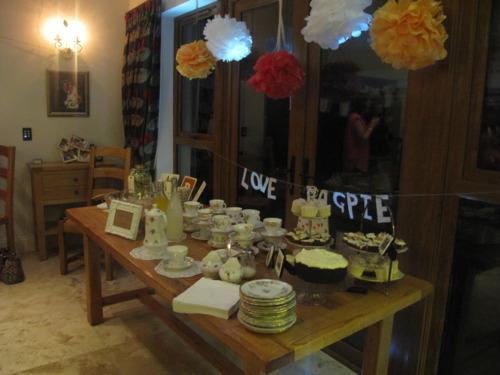 So, at a venue of your choice, we rock up, decorate the place in a vintage -esque style…complete with fancy china and LOTS of bunting & colour! We display all the yummy treats that we bring along (this one was red velvet brownies, lemon cupcakes and chocolate Guinness cake!) as well as fruit punch, tea and coffee! For this one, we were going to pretty busy with making stuff, so we just had a casual little ‘guess how many clothespegs’ game. Answers on a doily! The closest answer won a vintage pocket mirror & brooch! 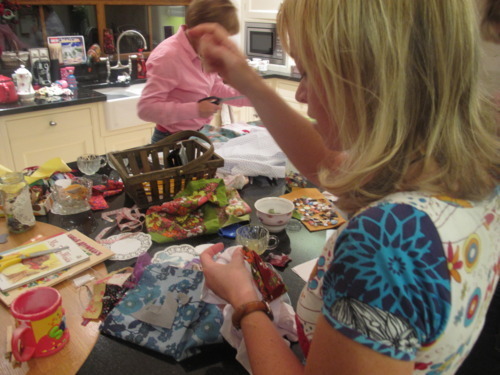 Around the rest of the venue we spread out all the crafty bits…fabric, buttons, needles, thread etc. After we’ve fed and watered you good and proper, we let you loose to rummage around for supplies for your chosen craft (just like Magpies!). This one was customising numbers onto babygros for the first 6 months of a babys life. 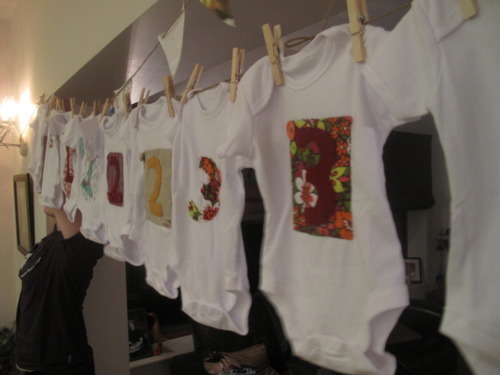 This way, the mamma can take a picture of them each month in their numbered babygro to pictorially chart their growth! Clever huh? 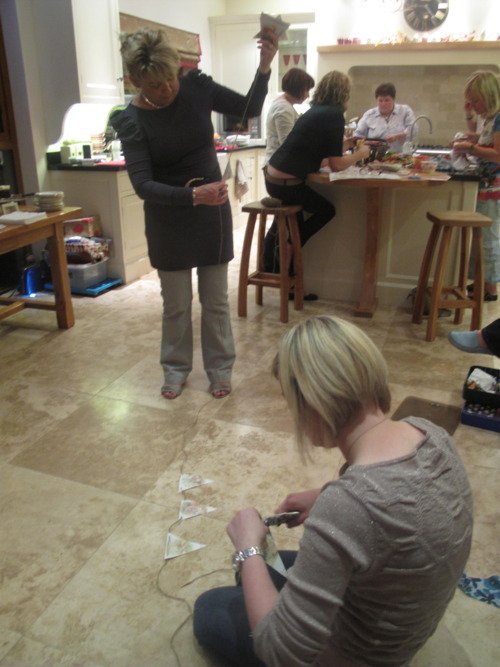 Then it’s up to you, with lots of hands on help from us to create that masterpiece of your own! 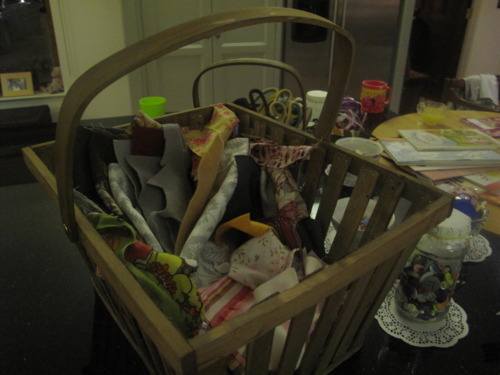 We also included making a little storybook bunting for the baby’s room. Et Voila! 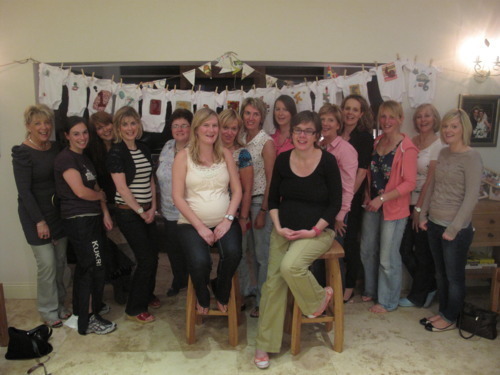 The mammas went home armed with lovely personal gifts for their baby and the rest of the ladies left feeling clucky after cooing over the tiny little babygros! 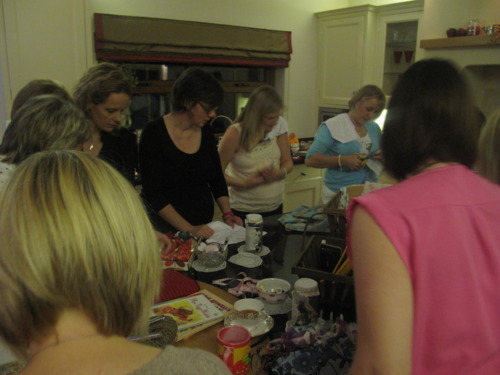 I love hearing the chatter of the group as they are busily crafting - so many of this group commented on how therapeutic and relaxing they found it. Many of them were also surprised at how able they were to come up with something creative! Mission accomplished! If you would like a Magpie tea party, get in touch with us on facebook, and keep an eye out on our page for details of a special Crafternoon Tea - Christmas edition coming soon!